HR01 - Corbeau Fixed Rear Seat - Baja SS Bench - Pann Auto Performance - San Diego largest aftermarket automotive performance parts - What do you drive? 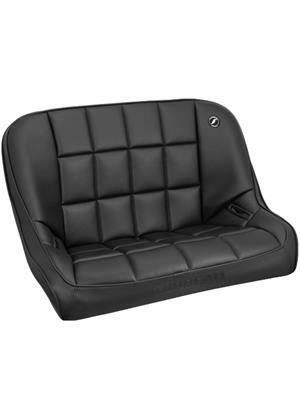 The Corbeau Baja SS Bench is a perfect complement to Corbeau bucket suspension seats. Don’t make your passengers absorb all the bumps, let them experience the same comfortable ride as you. Standard features include: powder coated steel frame, reinforced nylon inner liner laced with military-grade suspension cords, integrated full-body support and lap belt capability. The Baja SS Bench is available in 36 and 42 inch widths. Weight: 36-inch: 19 lbs. — 42-inch: 22 lbs.